Golf Babes: Annika and "Annika"
These are great days for Annika Sorenstam. You only have to subscribe to her Twitter feed to know that life is good with hubby Mike and beautiful baby girl Ava. But just because she's not on tour anymore, don't get the idea that Annika has gone completely domestic. She has a burgeoning business empire, and continues to grow the Annika brand. Case in point: "Annika" perfume. 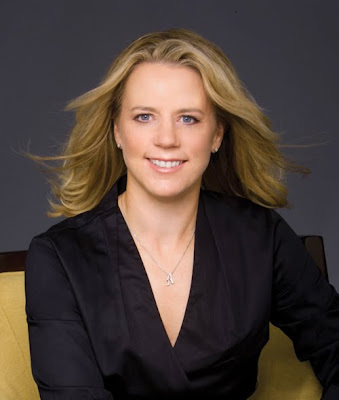 Yes, Ms. Sorenstam has her own fragrance, one that "boasts rich aromas of amber, vanilla, white flowers and citrus." The fragrance debuted in 2009. "Annika" comes in 1.7-ounce ($59.50) and 3.4-ounce ($79.50) bottles and can be ordered at annikafragrance.com. Still looking for that holiday gift for the female golfer in your life? Or for yourself, if you are that female golfer or fan of Sorenstam? Shipping is free during the month of December.